The first two weeks of Overwatch League Stage 2 are done and dusted with, and the composition landscape has changed dramatically. 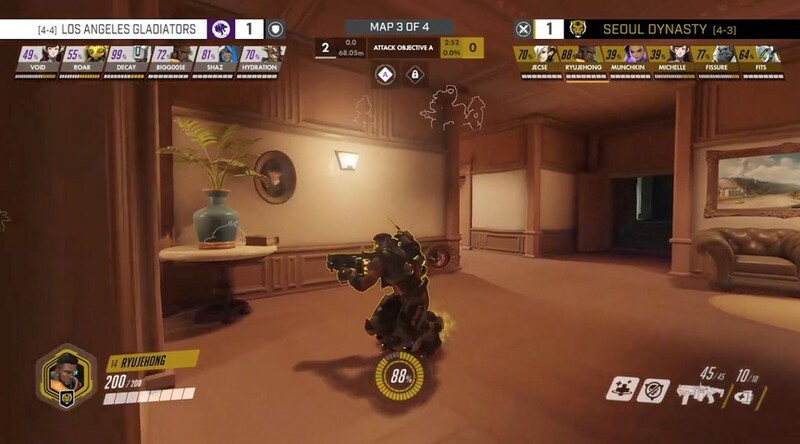 Teams are willing to show more DPS characters in their lineups, and a new map pool brought about old compositions that fans haven’t seen in a while. 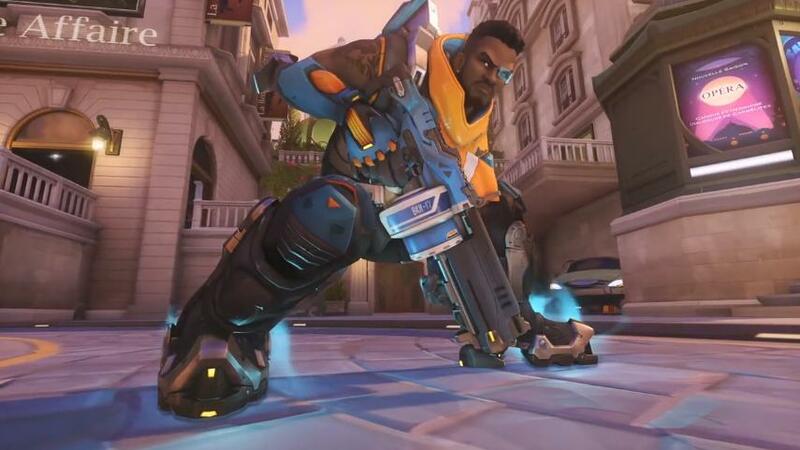 With a new playable character, Baptiste, available for players to choose, he is making his mark on the meta early on. Let’s look at some ways the professionals are utilizing Overwatch’s newest hero on the big stage. 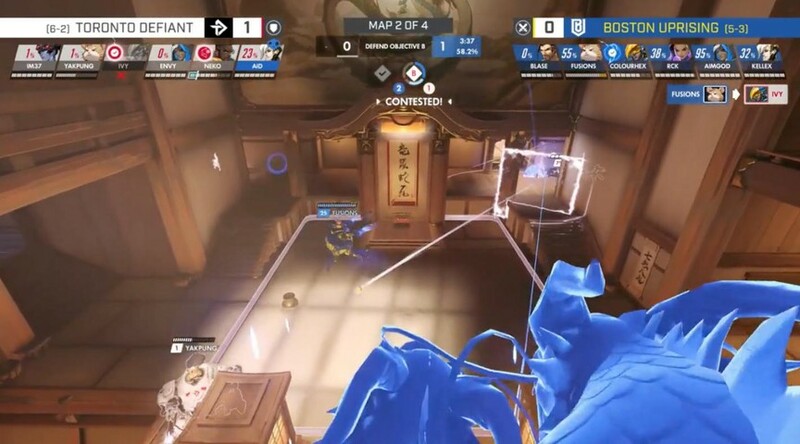 Like in 2018, Assault maps such as Hanamura, Paris, and Anubis displayed mostly bunker compositions for the defending team. These are mostly centered around a Bastion, Orisa, and Mercy holding one map position near the point for as long as possible. Thanks to Baptiste having an Immortality Field, he is now a firm component for this composition. 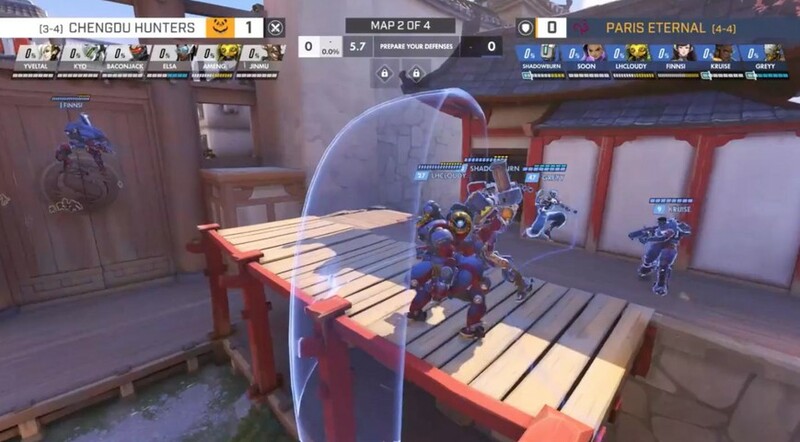 Bunkers can hold out for long periods of time as Bastion and other damage dealers, combined with Orisa’s Supercharger and Baptiste’s Amplification Matrix, can rip enemy teams to shreds. But they can falter quickly if the enemy executes a well-placed dive or forces them out of its bunker confines. The Immortality Field has a 20-second cooldown, so proper usage can make all the difference for the bunker’s survival. 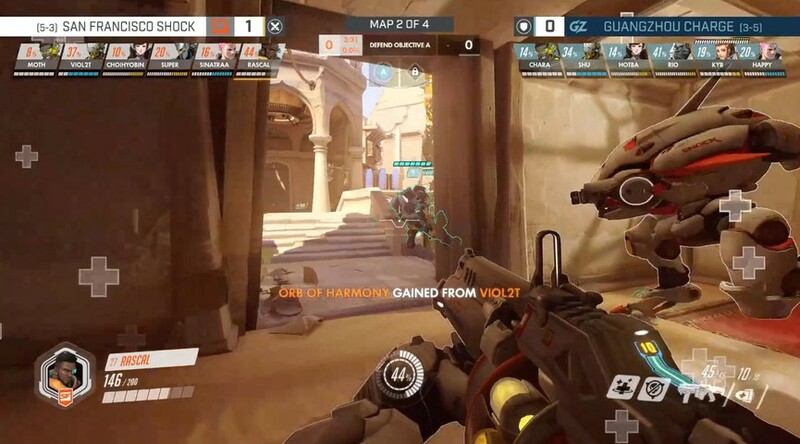 The GOATS composition hasn’t completely disappeared, but its role in the Overwatch meta has diminished. For teams that still chose to run it, the player on Brigitte duties occasionally moves onto Baptiste. Philadelphia’s Josue “EQO” Corona and San Francisco’s Dong-jun “Rascal” Kim are some players who took on the role, providing the same kinds of burst healing and survivability Brigitte did, but with the added bonus of a ranged weapon to showcase their aim. The triple-tank, triple-support composition may still draw the ire of Twitch viewers, but there is enough variety in it now that they can’t complain about Brigitte. At least not as much, anyway. When the payload is inching closer to the final point, or when the point percentage is ticking close to 100, defending players often switch to off-meta heroes just to contest for a few seconds longer. Heroes used for stalling include Tracer, Doomfist, Mei, Soldier 76, and Wrecking Ball. When support players need to stall the point, they can use Baptiste’s Immortality Field to hold out for a few seconds longer while their teammates rush back as well, similar to Mei’s Ice Block, and has a cooldown longer than that. The Amplification Matrix can get some extra damage off, but like most stall heroes, it goes toward a losing effort. When Blizzard announced Baptiste as the 30th hero, Jeff Kaplan said he hoped the character’s kit would make him a main support, similar to Mercy and Lucio. More often than not, he has been used by the more offensive minded flex-support players; those who use Zenyatta, Ana, and Moira. Baptiste has not been lighting up the kill feed like those other heroes, not getting a ton of final blows, but his presence is felt thanks to his utilities. This is the first stage he’s featured in, after all. Once teams get more used to him, maybe Baptiste will get kills the same way Zenyatta or Ana does.